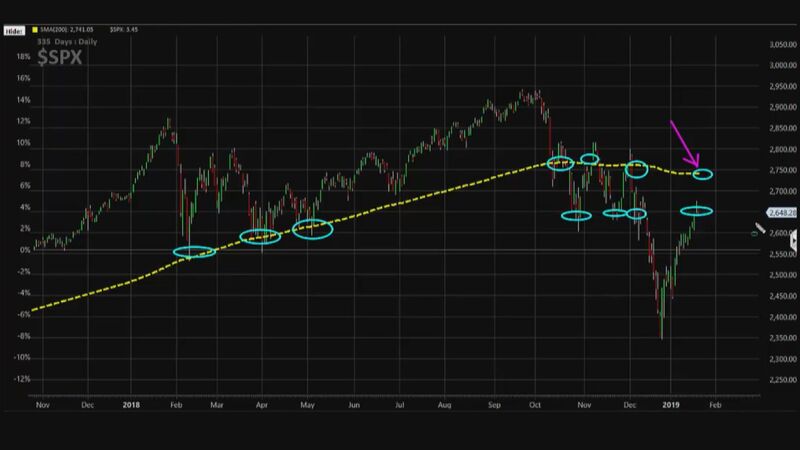 With the S&P 500 back in correction territory on Tuesday, one trader says this could be a sign of trouble to come for the market. First, Gordon points out a “shelf” that has formed in the S&P 500 with support at around the 2,650 level, which the index has tested a few times. Gordon says this support level has now become resistance for the S&P. Second is the index’s long-term moving average. 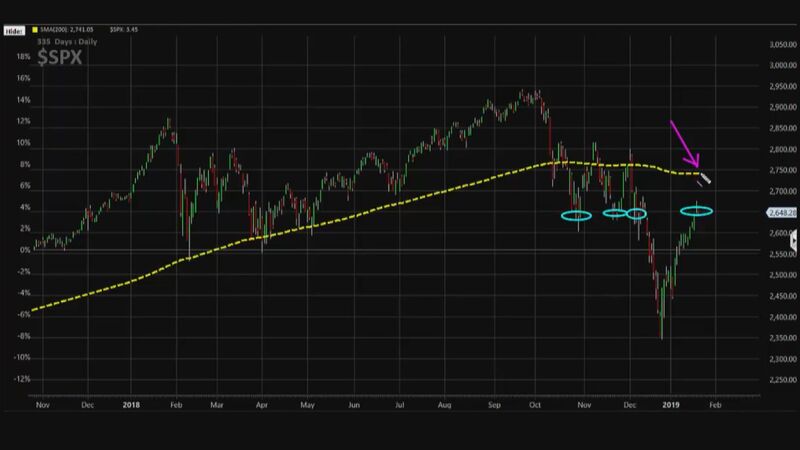 He notes that the S&P 500 is trading 4 percent below its 200-day moving average, proving that the trend is in fact broken. 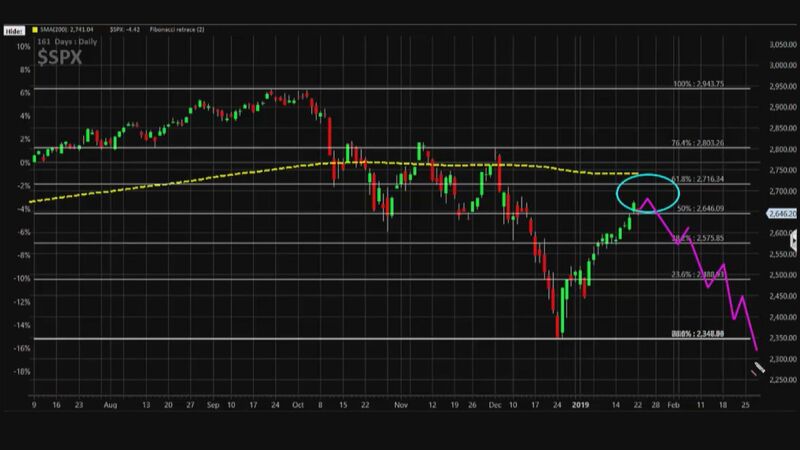 Finally, Gordon points out that the 2,650 level is the new resistance, as the S&P has actually retraced half its losses, which he thinks could result in some profit-taking or short money entering the market. As a result, Gordon wants to buy the March monthly 255-strike put and sell the March monthly 250-strike put in SPY, the S&P 500-tracking ETF, for the cost of $96 per options spread. If SPY were to close below $250 on March 15 expiration, Gordon could make just over $400 on the trade. If SPY were to close above $255, then Gordon would lose the $96 he paid to make the trade. So far this year, the S&P 500 is up almost 5 percent.